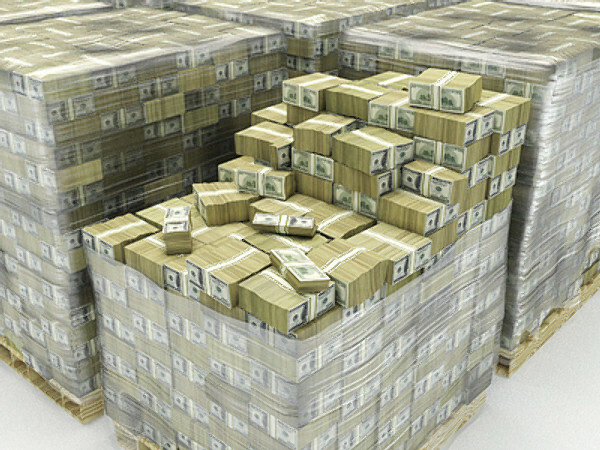 Multiple reports have circulated today stating that MLS has turned down a $4B media rights offer from Ricardo Silva’s international media company MP & Silva that included a stipulation that #ProRelForUSA was started in the United States. This quote says something very intriguing to me. MLS deals directly with its broadcast partners because it, for various reasons, is “required for a successful partnership”. Why does USSF not directly deal with its broadcast partners but use the MLS subsidiary company Soccer United Marketing (SUM) to negotiate its broadcast deals? We’ve asked questions before about USSF offering a subsidy to MLS that it does not to other leagues in the US pyramid. 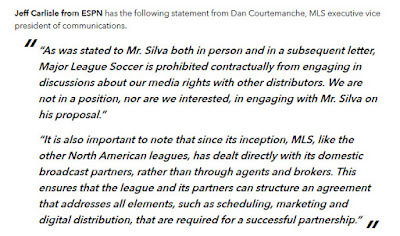 Today we have MLS coming out and stating that not negotiating directly with your broadcast partners is just plain old bad business. Maybe it is time for our American soccer media to really start to ask the tough questions about this USSF/MLS/SUM relationship. 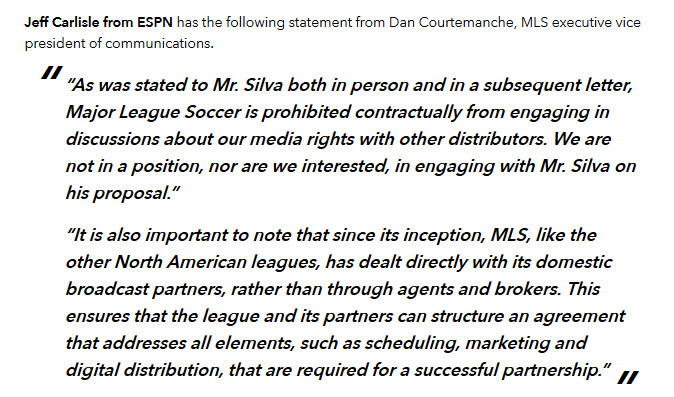 Even MLS is now on record saying that they think its crazy to use an intermediary to negotiate a media deal.